Namely, the delicious garlic is the most powerful natural antibiotic created by Nature, and it improves health is so many different ways. The Journal of Antimicrobial Chemotherapy published a study conducted by Washington State University, which concentrated on one of the most common bacteria, called Campylobacter. These bacteria are the main cause of numerous terrible food-borne illnesses leading to diarrhea, fever and abdominal pain. 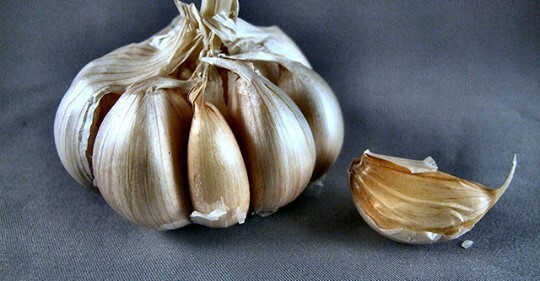 The findings showed that garlic is able to destroy it 100 times more effectively than common antibiotics like erythromycin and ciprofloxacin. Moreover, scientists found that it works in a fraction of the time. Garlic is best to be consumed raw for its microbial properties, even though cooked garlic is still highly beneficial. The antioxidant value is equal when cooked, unlike most foods in which cooking tends to reduce nutritional content. Yet, to boost its effects, chop or crush it and let it sit before eating it or heating it for a recipe. Scientists recommend waiting for 10 minutes before cooking it. This will activate the alliinase enzymes in the garlic’s cells, and allows them to convert some of the garlic’s allin into allicin. Allicin quickly breaks down to form a variety of organosulfur compounds. Therefore, keep adding garlic to your daily meals and you will naturally protect your body from ailments and diseases! What’s more, you will enjoy your food!